Kilmaronock church is situated on the north side of the A811 east of Gartocharn. Death Certificate confirms cause of death was war related and the year of death falls within the CWGC period so I don't know why he is not recorded. 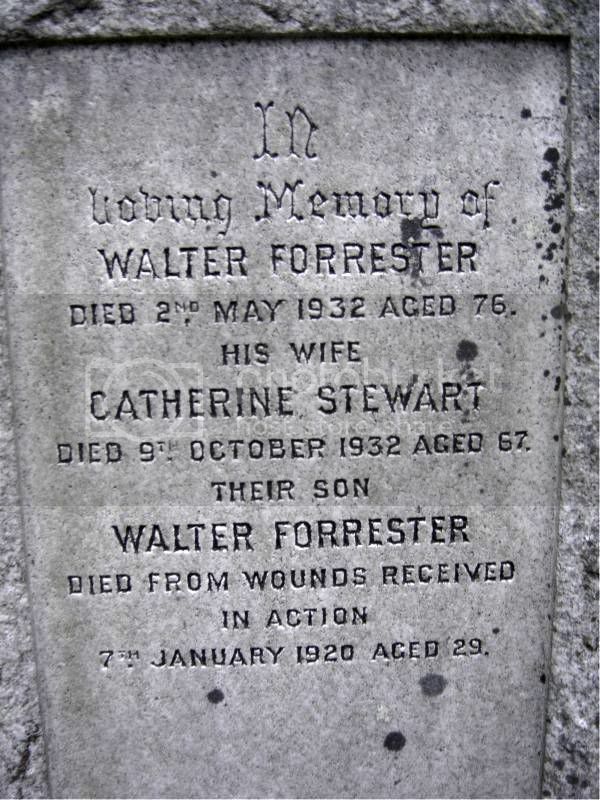 Walter Forester, Journeyman Gardener, Late Sergeant A&S.H. (Single). 3.30 a.m. January 7th 1920, Woodend Lodge Kilmaronock. Father Walter Foprester, Journeyman Joiner, Mother Catherine Forester M.S. Stewart. As certified by Maud E.D. MacKinnon, ? ? Drymen. Informant Walter Forester, Father, Present. 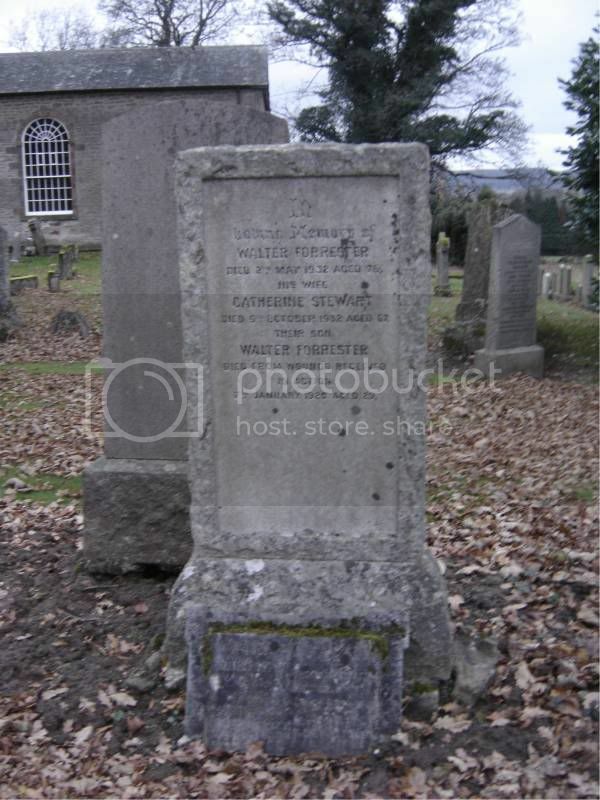 Thanks to Anne Anderson (and the nice lady at West Dunbartonshire Council)we know the details of his burial place in the Kilmaronock Parish Churchyard, so although he is temporarily allocated to the UNITED KINGDOM BOOK OF REMEMBRANCE he will be ‘moved’ as soon as the grave formalities are completed. 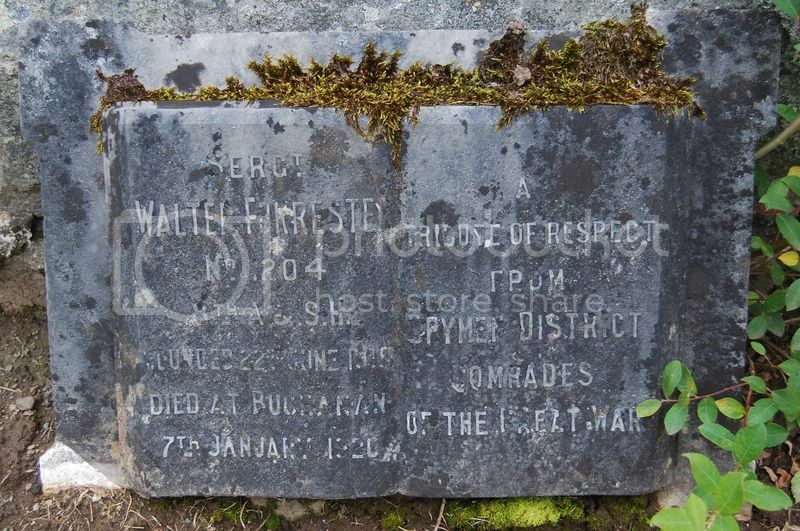 Additional Information:Son of Walter Forrester of Kilmaronock. Walter Forrester's brother William also served - I can't find any records to confirm further info. The family were at Woodend Lodge on the 1891 Census. Anne - the National Archives index shows just 5 William Forresters who served in the Gordons. Two are clearly the same man S/992 (incomplete) and S/9226 and he is William W. Forrester - a private and then Corporal. However he was discharged due to wounds on 9 May 1917 and awarded a SWB no. 188375. The final two changed regiment - possibly after recovering from wounds???? It could be worth searching the MICs on Ancestry to see which were 10th Battalion men. Maybe one of these days I'll try and figure out which one he is - for the moment though, I'm happy to attach him to the same family! Sergt. Walter Forrester, No. 1204, 8th A. & S. H.